For some people it is not practical to use loudspeakers to mix their music and audio tracks. It might be that their neighbours are easily disturbed, or their acoustic environment is not up to scratch. Despite the fact it is not usually recommended, many people make decent mixdowns using only headphones. As a rule if you are going to attempt to mix on headphones it is suggested that you buy a very high quality pair of headphones. Cheap headphones have far too many compromises for serious mixing work so I would suggest that you spend at least £100.00 ($160.00). This price point will get you in the ballpark for a decent quality set of headphones. At this price point I recommend professional audio production brands over trendy or 'flashy' type headphones. The sound is likely to be more neutral and suitable for mixing duties. Headphones come in a range of shapes and sizes. Avoid in-ear 'bud' type headphones and go for larger circumaural headphones (headphones which cup the ear). 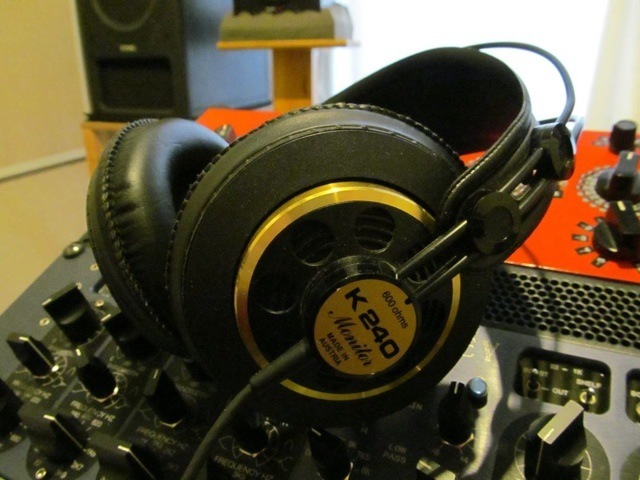 These are the headphones which will produce best results for mixing music tracks. Before you buy your new headphones here are some pros and cons of working with the two main types of headphone cup. Open-backed headphones mean that air is free to travel between the headphone cup and the ear, and to my ears generally have a more natural sound quality. This is possibly due to the fact that a resonant cavity is not created by the cup around the ear. The downside is that such headphones do not attenuate environmental sounds as well as a closed back headphone. Especially in the summer months and warm countries open backed headphones allow your ears to breathe and in this respect they are more comfortable. Closed-back headphones are great if you work in a somewhat noisy environment as they can help reduce disturbances from external sounds. They can sometimes feel a little uncomfortable for long listening because they tend to create a seal around the ear and can cause a somewhat claustrophobic sensation. You will probably find that you need to take breaks more frequently. Both types have their place in audio production and you must assess your primary needs to make the best choice. What Impedance Do I Choose? Headphone impedance generally comes in at between 16 and 600 Ohms. The higher the impedance, generally the lower the volume at any given volume level, dependent on the headphones sensitivity as well. As impedance rises, more voltage is required to drive the headphones (although less current is drained from the amplifier with higher impedance headphones). I have tended to favour mid-impedance ratings especially if one does not know the capability of any given headphone amplifier. 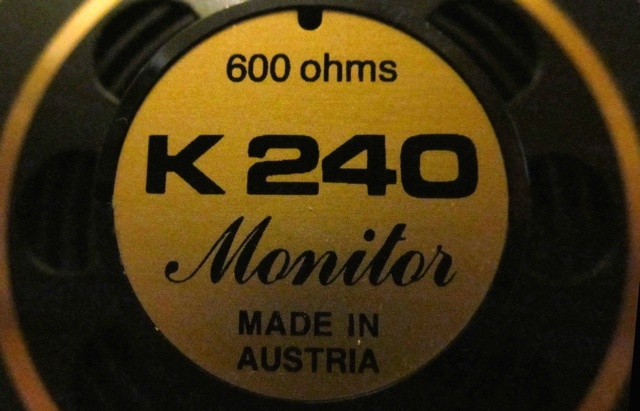 Mid-impedance headphones up to around the 250 Ohm mark are a good compromise. This ensures a standard sound card headphone socket should be capable of driving them to acceptable volumes without distortion. Personally I use dedicated headphone amplifiers, as the sound quality can be much better than that produced by a small amplifier running off of low voltages (such as USB type sound card H/P output). A good quality headphone amp can really show up the details in a recording with great fidelity. I highly recommend purchasing a good quality headphone amplifier if your main monitoring is headphones as the difference in sonic quality can be quite remarkable. This is largely due to the circuit, power supply and ability of the components to produce undistorted and clean sound. 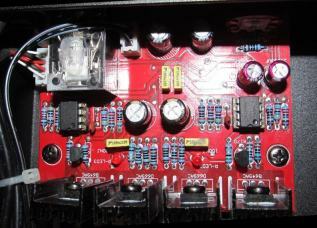 Some headphone amplifiers allow you to change the small DIP 8 opamp chips which allow you to tailor the sound to some degree. One of the biggest differences when working on headphones is to the stereo image. When we listen to loudspeakers the left ear receives sound from both the left and right speaker and so does the right ear. This is quite different to wearing headphones as each ear does not receive sound from the opposite cup. It means that judging the stereo image (with a view to your mix sounding good on stereo loudspeakers) can be a little more tricky. Some people like to introduce a software or hardware circuit called a crossfeed, which allows you to simulate and approximate a loudspeakers set up and it's interaction with our ears. I additionally recommend using some reference material (stereo mixes that sound great on loudspeakers are best) and get used to how your headphones sound and that will ensure you make better decisions when positioning instruments within the stereo image. It is important that your mixes translate to loudspeaker systems and here lies the challenge. With headphones you tend to hear more detail than with typical project studio loudspeakers and this can be both a benefit and a curse. Try not to overly focus on extraneous noises when balancing your mix as the intensity of the detail can be somewhat distracting. Instead know in your own mind that you will make sure that you are going to do a "Quality Control" pass which is purely for removing any extraneous, noises, hisses, pops and clicks before you bounce out and focus on tone, balance, dynamics and stereo image. You may find adding effects in the mix difficult to judge, again this is in part down to the details you can hear which are normally covered by monitors and their interaction with the rooms acoustics and ambient noise floor. 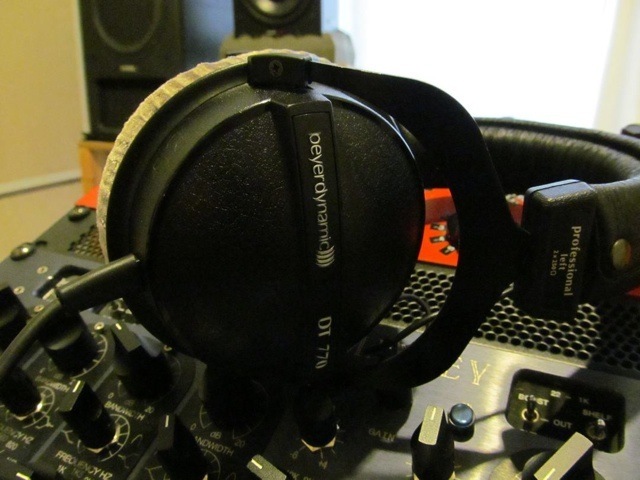 With closed headphones the intimacy of sound can make judging reverbs challenging. Referencing and double checking on speakers is the way to go until you are certain of the sound character of your headphones. It also makes sense not to be blind to a test on a decent stereo loudspeaker system. There is no need to be too extreme about the reliance on headphones and it is prudent to have a check on a loudspeaker system from time to time just to check progress. Even a good quality stereo pair of single driver multimedia speakers can offer a decent perspective. If you are not constrained by budget the Avantone Mix Cubes are a good small sized and economical choice. There are others but these speakers will produce a good stereo image (when set up in an equilateral triangle monitoring configuration) and will not trigger the room nodes as they output very little low bass. Each and every time you work with your headphones always turn the volume down to the minimum position and then gradually raise the volume. Do this without fail each time you start using your headphones. This habit will ensure any loud sources do not blast your ears with a high level of sound which as we know can be instantly damaging. If you ever hear ringing in your ears after you have worked with headphones, then you are listening too loud. This is a very clear warning and you should turn down your listening volume to avoid hearing damage. You only get one pair of ears so respect them so you will have years of listening and mixing enjoyment ahead of you. It is tempting to listen at a high volume because it sounds and feels good and headphones can produce clear and very low distortion sound. But is is very important not to exceed the safe listening exposure volumes for hours. If in doubt turn it down. As a very rough guide you can put a SPL meter at ear distance from the cone and measure the volume in SPL. Use your local authority noise pollution exposure guidelines and back this off by 10 dB to be sure. You have a responsibility for your own hearing so research and err on the side of caution as ears are irreplaceable. Finally take regular breaks, rest your ears frequently and re-assess your listening volume. Headphones can be economical, convenient, very highly fidelity and detailed, despite these beneficial traits you need to be aware of their limitations when balancing audio tracks. Good mixes can definitely result from using high quality headphones especially when you become familiar with your specific headphones and know how they sound relative to loudspeakers.